GATE 2019 Ecology and Evolution (EY) Answer Key –The GATE 2019 Official Answer Key is available. 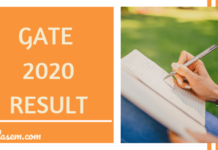 IIT Madras has released the Official GATE 2019 Answer Key for EY on February 19, 2019. From this page, you can check GATE 2019 memory based question with answers for EY. The analysis and solution for GATE 2019 EY are also available on this page. Candidates can use GATE 2019 EY answer key to evaluate their marks in the exam. 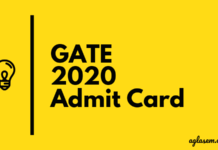 GATE 2019 EY Official Answer Key, Question Paper, Response Sheet can also be downloaded from the official website of IIT GATE 2019 gate.iitm.ac.in before the declaration of result of GATE 2019. 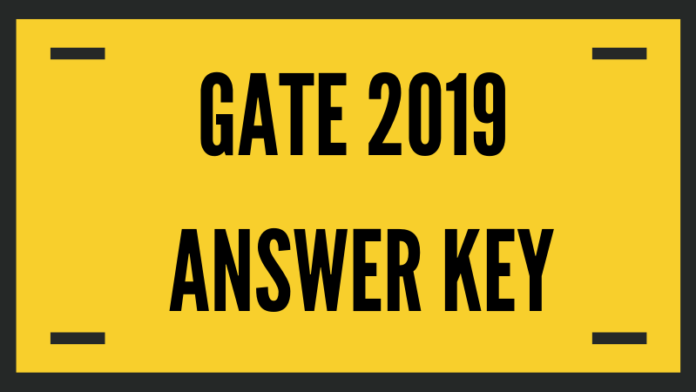 Latest: The GATE 2019 Final Answer Key has been released for EY. GATE 2019 Question Paper for subject code EY consist of MCQ and NAT type of questions. In general, there are of 65 questions carrying 100 marks. The General Aptitude section carries 15% of the total marks and the remaining 85% of the total marks is devoted to the subject of the paper. The candidates can check the marking scheme from below. In the table below, the candidates can check the complete schedule for GATE 2019 EY Answer Key. The table contains dates from the release of the Answer Key till the date for declaration of Result. Before the official answer key, the candidates get their hand on the unofficial answer key which is released by the Coaching Institutes. The unofficial key is released an hour or two after the exam is over. Here you can download the GATE 2019 EY Answer Key by coaching institutes. Candidates who have appeared in GATE 2019 Ecology and Evolution Paper, as well as future GATE aspirants, can use answer keys. Those who have appeared in Ecology and Evolution on February 03, 2019 can know correct answers, analyze how many questions they marked correctly, and estimate scores. This makes GATE a transparent and fair process. Future GATE EY aspirants can use GATE EY Question Paper, Answer Key, Solution to prepare. The candidates can check GATE EY Previous Year Answer Key and Question Paper from the table below.